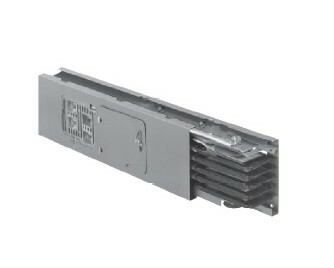 Powerbus busway construction consists of a light-weight electrical grade all-aluminum housing with up to five (5) silver-plated copper conductor bars for maximum electrical efficiency. The total product offer includes straight sections, fittings, accessories, and plug-in units for a total installation. This busway is available in both 225 A (240 V) and 100 A (600 V). A 50% integral ground is standard. Powerbus plug-in units are rated maximum 100 A and may be offered as field installable or factory assembled units. All units conform to NEMA type 1. An optional kit is available for FA and QO units to raise the protection to IP54. This kit raises the QOR unit to moisture protection of IPX3. The QOD units can be ordered with an optional IP54 rating from the factory only. Power-Zone bus is custom designed, manufactured and tested per ANSI C37.23 standards to meet customer specifications. The 600 V product is also UL Listed. It is a completely coordinated package of equipment with all the auxiliary material and supports for connecting transformers, switchgear, MCCs, and motors, in all types of utility, industrial, and commercial facilities. Download the Schneider Electric Busway PDF below or call 714.835.6211 for more information.